Belo Horizonte - Estadio Mineirao 24.06.2014: Estadio MineiraornAnother stadium which will provide venue for the 2014 World Cup is the stadium Mineirao in the Brazilian city of Belo Horizonte. 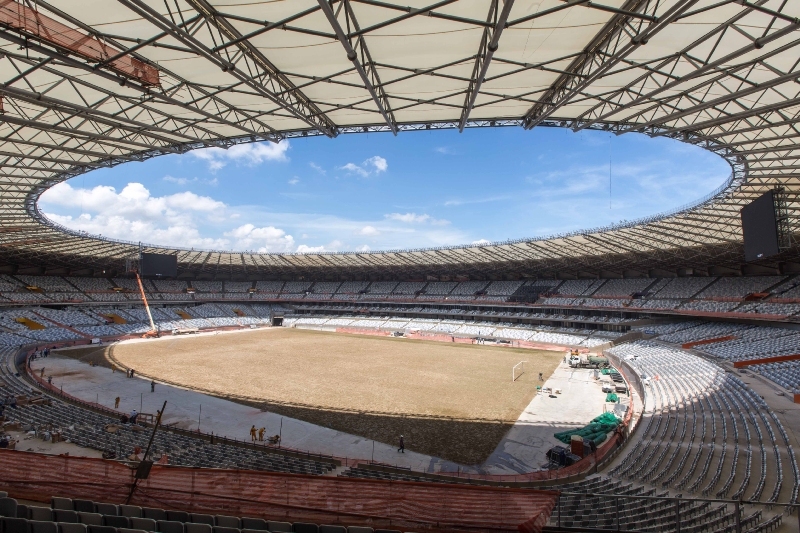 The renovation of the former Estadio Mineirao was begun in July 2010 and completed in 2013.rnUsually, when stadiums are largely renovated or new stadiums are built, the real cost is much higher than the planned cost. However, this case is an exception. 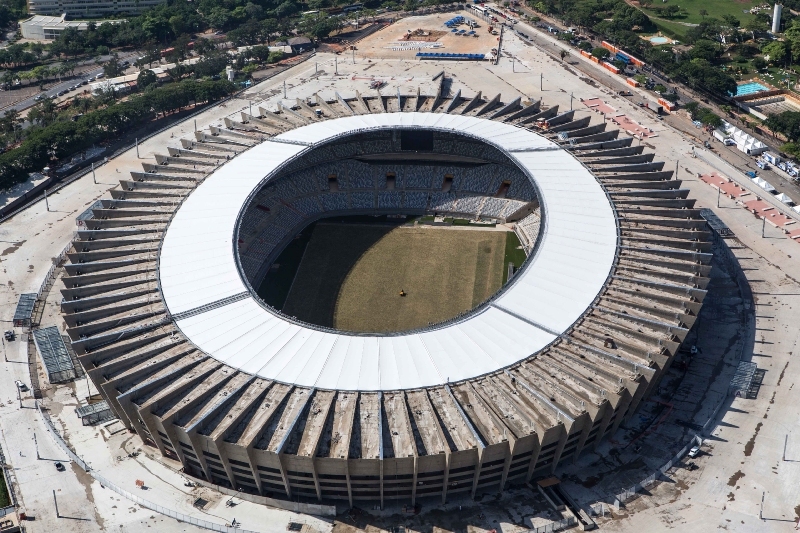 According to original plans, the renovation was supposed to cost 700 million BRL, but in reality it cost 695 million BRL. The original stadium was built in 1965, so it has been listed as a cultural heritage site. That is why the stadium has not been demolished and a new one has not been built on its site. The authorities then decided to maintain the oval concrete frame with the upper stands. The lower stands were completely rebuilt and extended towards the pitch, so as to preserve symbolically the oval shape around the pitch. Due to the renovation the capacity of the stadium was slightly decreased – from 70,000 to 62,547. The record for the number of spectators was set in 1997, when 132,834 spectators, probably in standing areas, came to watch Cruzeiro play against Villa Nova. 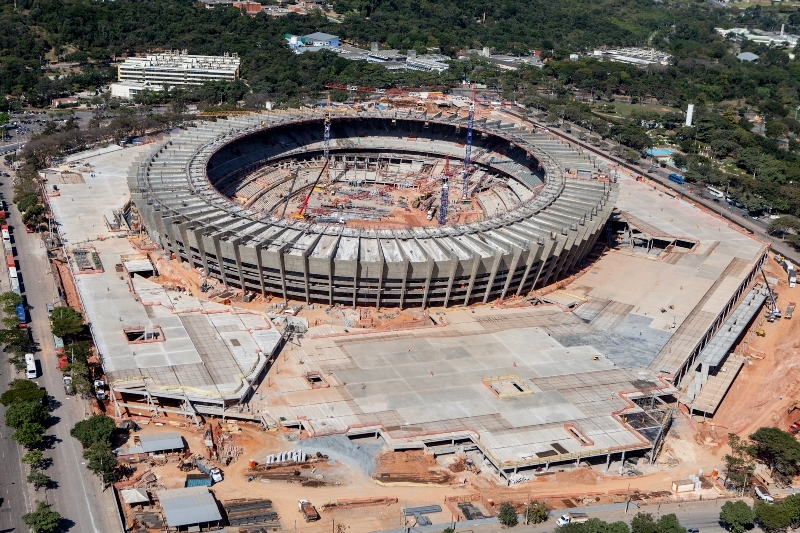 In the course of the 2014 World Cup the stadium will host four group stage matches, a round-of-16 match and a semi-final.